Hrithik Roshan. The more you say about the man, the less it is. He is known as the Greek God of Indian Cinema and for good reason. This man alone can give the heroes of current generation a run for their money, and this fact is not just celebrated in India, but also around the globe, which can be known by the surveys that are conducted every now and then. Also Read: Inside Photos: Ranbir Kapoor, Hrithik Roshan, Sonakshi Sinha And Others Party At Ambani’s Star Studded Bash! 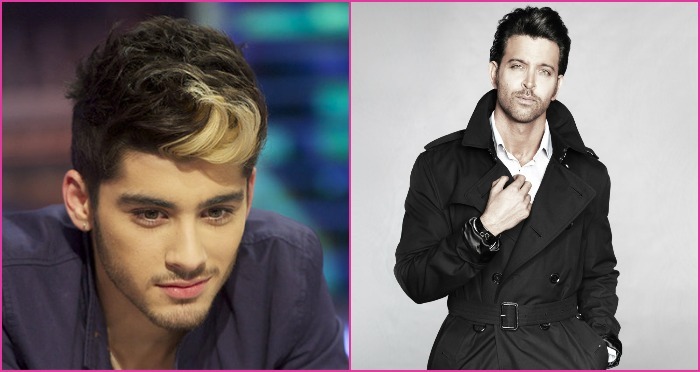 In one such survey, for the Sexiest Asian Man, Hrithik came second, beaten just by a fraction by the former member of band ‘One Direction’, Zayn Malik. Amongst others, the list also had actors Salman Khan, Ranveer Singh, and Shahid Kapoor, albeit at lower positions. The list also had Pakistani, and now Indian heartthrob FawadAfazal Khan, and the famous chaiwallah Arshad Khan, and Television stars Vivian Dsena and Ashish Sharma. Well, we do agree that Hrithik is one of the sexiest men in the world, let alone in Asia. Though we do not get to see much of his dishy avatar in his next ‘Kaabil’, we are happy that he is back. The plot of the movie sure looks interesting with the protagonists being visually impaired, and we are waiting for it. Read: 9 Most Shocking Bollywood Controversies Of 2016! Previous : 9 Most Shocking Bollywood Controversies Of 2016!